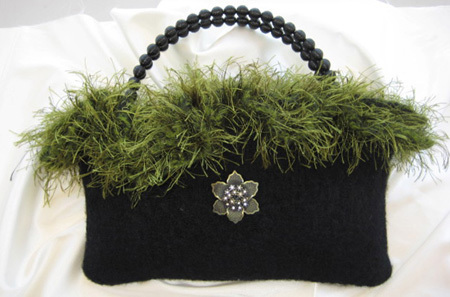 Hand-knitted and felted wool tote with feather-like trim, created with novelty yarns. Matching crystal flower pin embellishment. Magnetic snap closure and beaded handles. Polyester lining. Size approximately 13-1/2" W x 8" L.